Our attorneys have over 140 years of combined experience in the Florida legal system. In addition to experience, they have outstanding legal skills and extensive knowledge of the law. In fact, they are so highly regarded by their peers that the firm has an AV Preeminent* peer rating through Martindale-Hubbell. 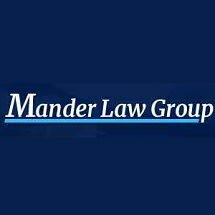 Whether you sustained injuries in a motor vehicle accident and need help pursuing compensation, you face a charge for a crime and need an attorney to ensure the protection of your rights, or you have a legal need in one of our other practice areas, you can depend on Mander Law Group to represent your interests. To ensure that all potential clients have access to the services our law firm provides, we proudly offer free initial consultations at our Dade City law office.